Saturday, March 2 8:30 a.m. to 4:30 p.m.
We hope you can join us for the 25th Annual Ski-Party! 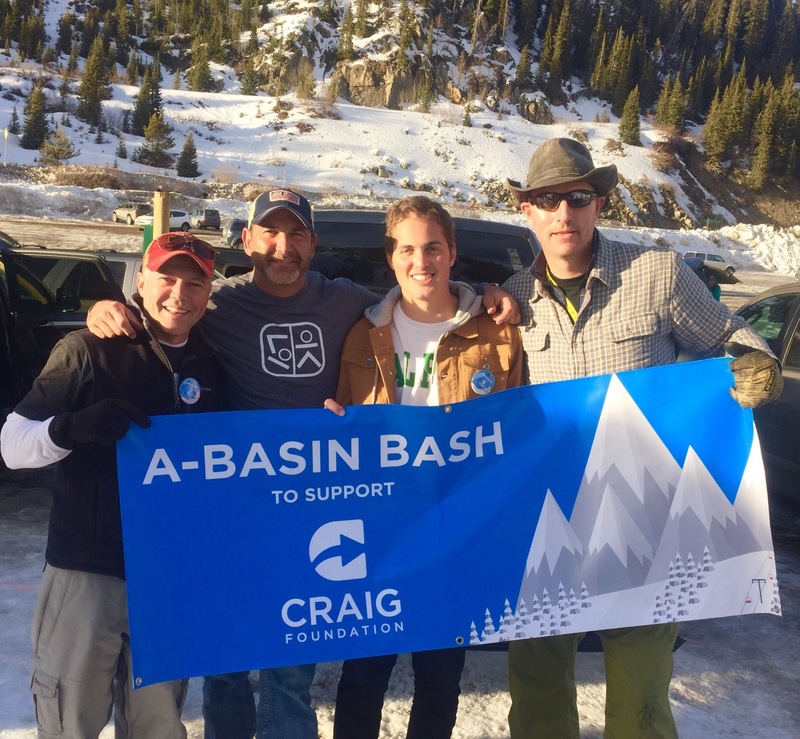 If you have not been to A-Basin Ski Mountain it is an Old-School Colorado original. You can spend the day skiing, snow-shoeing or just hang-out on the "Beach" with family and friends! We have raised over $95,000 for The American Diabetes, National Kidney Foundation and Craig Hospital over the past 25 years and will proudly be supporting Craig Hospital again this year in hopes that we can empower lives with specialty rehab for people with spinal cord and traumatic brain injuries. Our efforts have always been personal and Craig Hospital is doing amazing work with Parker Patierno as he recovers from his fall resulting in brain injury. “PJ the DJ” and Tina Patierno are dear friends, mainstays of this event and we are extremely excited to support Craig Hospital. We will have breakfast burritos, brats, dogs and all the fixings for the whole family! There will be a contingent staying at Keystone which is the closest lodging and the reservation phone number is (800) 328-1323. We look forward to having you but please do not forward this invite as we would like to keep the event all-in-the-family! On-line donations can be made directly to Craig Hospital thru the link below and/or day-of-the-event giving. Online donations can be made through the form below.